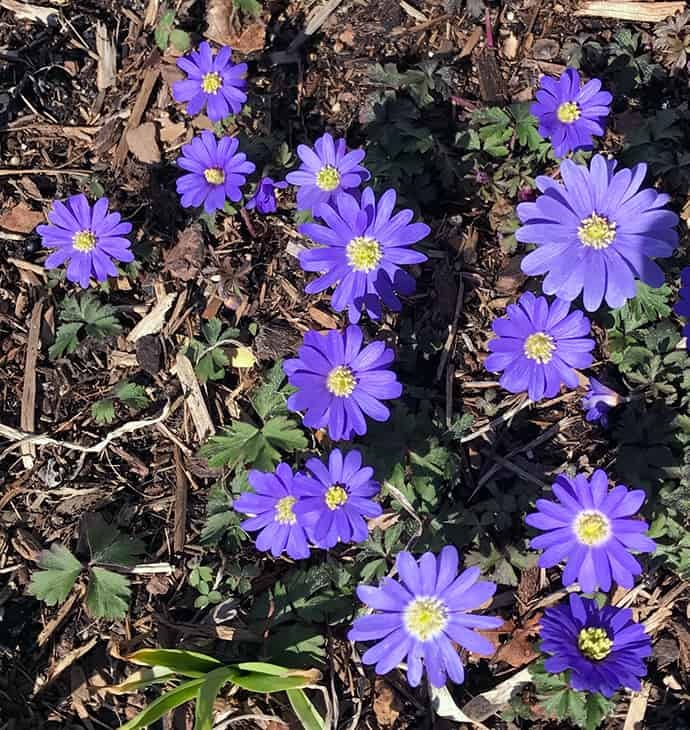 Type of Plant: spring bulb that blooms blue, white or pink daisy like flowers in early April. Why I Love/Hate this plant: One of the most cheerful spring flowers, and they spread because they self-seed. Plant them around daffodils and in perennial gardens. Write on your fall calendar to buy the bulbs, and place them about 2 or 3 inches deep in clusters for the best effect. These do best in full sun. A Word to the Wise: This bulb isn’t drought-tolerant so plant them in gardens that will be watered once a week through the summer. Learn to recognize the foliage because self-seeded plants will grow the first year and not bloom until the second. So you’ll want to be sure not to pull these new plants out! This is the perfect bulb to plant in between perennials such as daylilies. 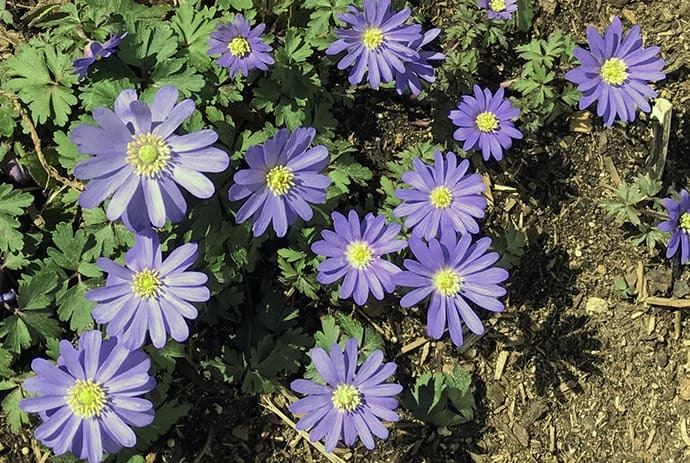 Cheerful daisy-like flowers come in blue, white and pink. 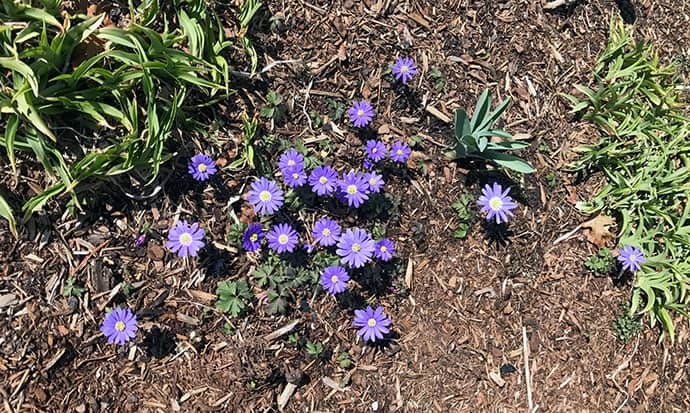 This photo looks a bit more purple than the flowers do in the garden. I bought some Blanda Mixed Anemone Bulbs. Can i plant them for this year or do I have to wait till fall. Plant them right away. The bulbs will dry out if you wait till fall. As soon as the soil is thawed enough for planting this spring, put them in the ground. You’ll see foliage this year but flowers next spring.